Life Fitness X1 Elliptical Cross-Trainer is a perfect cross trainer for a person who want a quick and easy fitness session. The Go Console provides an extremely easy-to-use interface with the essential workout programs you'll need to maintain an effective fitness regimen.It has all the best features that a life fitness elliptical cross trainer product should have. It has unparalleled quality, a fluid total-body motion, and the patented Link6 elliptical drive system that delivers an incredibly natural, comfortable stride. Total-body workout with synchronized upper- and lower-body movement. WhisperStride™ technology employs self-aligning ball bearings to create a quiet, fluid motion that is perfect for the home environment. ToughTrain 3.5 out of 5 Can be a good choice at this price, as it have all new features and an attractive warranty. *Note: Most of the sites, stores or shopping portals listed above sell Life Fitness X1 Elliptical Cross-Trainer with discounts and other exciting offers. There is a possibility that the some of above websites are not selling Life Fitness X1 Elliptical Cross-Trainer now. Toughtrain.com is not liable for such cases or instances. 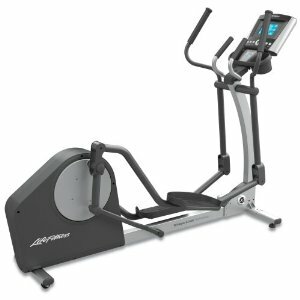 Also we do not recommend any seller for Life Fitness X1 Elliptical Cross-Trainer and a buyer should buy from where he/she gets best deal with quality of products, service and on time delivery (shipment).